Melvin Lindquist began turning in the 1930s as a vertical turret lathe operator for the General Electric Company. In his shop at home, he began an exploration of the vase form through woodturning which has continued for over 50 years. 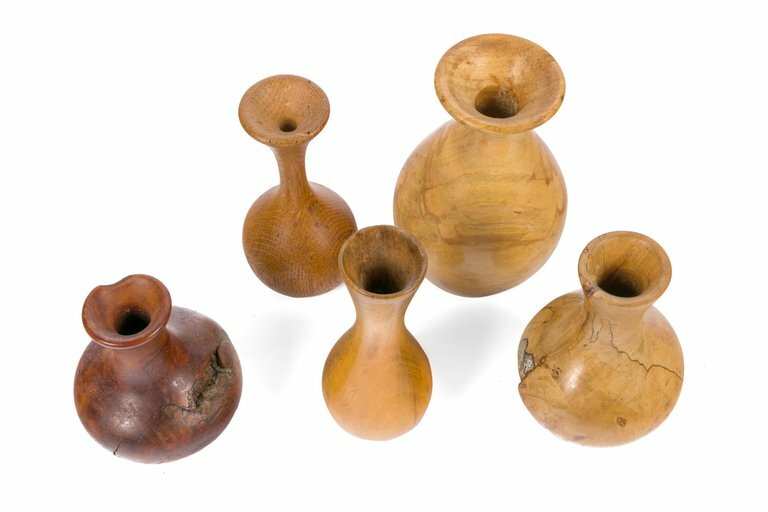 He was one of the main founding members of the American Wood Turners Association of American Crafts. Melvin's work is included in major national and international private collections, museums and corporations. The grouping of small vases have some signatures and dates from the 1970s. The measurements below are for the fourth vase from the left. H 4.75 in. x Dm 2.75 in.